P Clips - Rubber Steel Or Zinc Plate | The Green Spark Plug Co.
We stock P clips made of rubber steel or zinc plate. 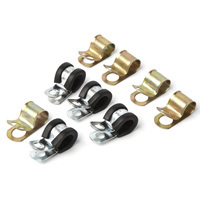 The Durite TPE rubber and zinc plated steel ‘P’ clips have a 6.6mm fixing hole and can fix cable with diameters 5mm, 8mm, 10mm, 13mm, 16mm, 21mm, 25mm and 32mm. 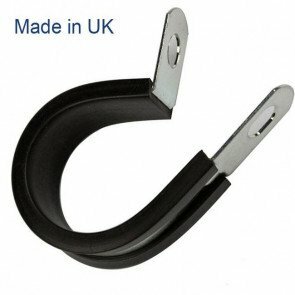 The zinc plate ‘P’ clips are for 9.5mm diameter cable and 7.1mm fixing hole or 12.7mm diameter cable with a 5mm or 10.3mm sized fixing hole.